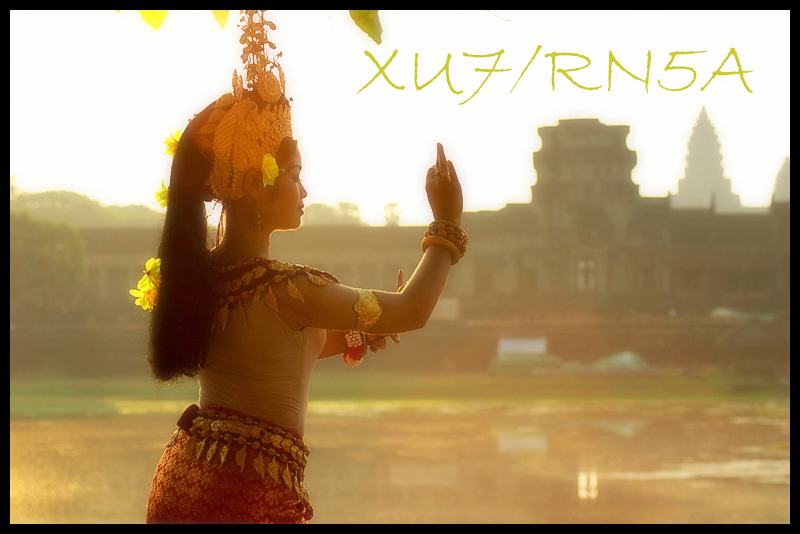 Vladimir, RN5A will be active from Cambodia 5 - 20 November 2014 as XU7/RN5A. Once known as the Khmer Empire, Cambodia, officially known as the Kingdom of Cambodia, is located in the southern portion of the Indochina Peninsula in Southeast Asia. It is bordered by Vietnam to the east, Laos to the north, the Gulf of Thailand to the southwest and Thailand to the northwest. Cambodia which is mostly flat and forested land sits on total landmass is 181,035 square kilometers. It is 69th most populous country in the world, with a population of over 15 million. Cambodia which lies entirely within the tropics covers an area of 181,035 square kilometers. To the north and west, it is bordered by Thailand, Vietnam to the east and southeast and Laos to the northeast. The nation’s landscape is surrounded by uplands and low mountains that is characteristic of a low-lying central plain. Its approximate geographical coordinates are 13°N 105°E / 13°N 105°E. Cambodia boasts of a monsoonal climate and is marked by wet and dry seasons which are of relatively equal length. Temperature ranges to the nation are from 21 to 35 °C. The nation experiences two diverse seasons with the rainy season running from May to October and the dry season running from November to April. The monsoon cycle that is experienced in the area is driven by cyclic air pressure changes over central Asia. 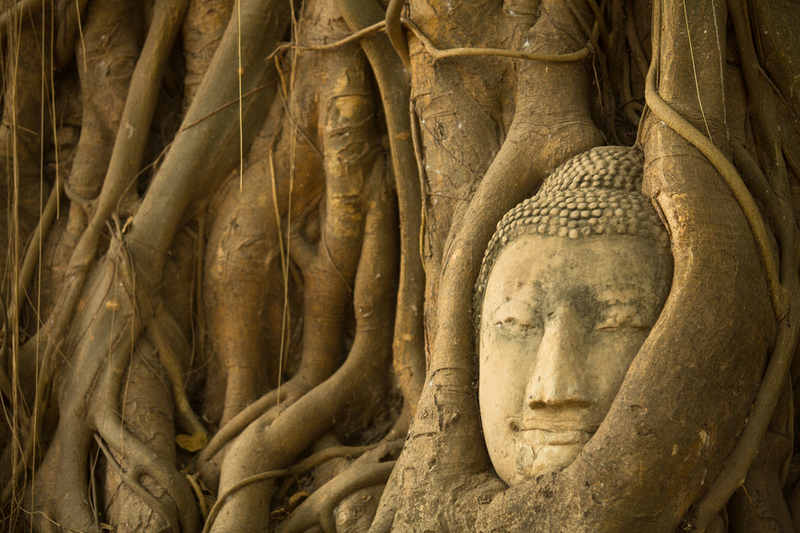 The most dominant religion to the nation is the Theravada Buddhist. Over 95%of the population practice Theravada Buddhist and throughout the country, there are approximately 4,392 monastery temples. Nearly 2% practice Islam while an even smaller percentage practices Christianity. Cambodia’s culture touches on Theravada Buddhism, Angkorian culture, Hinduism, French colonialism as well as modern globalization. You will notice that a number of rural Cambodians spot a traditional scarf known as the karma scarf that is a unique aspect of Cambodian clothing. As with other Southeastern Asian countries, rice is the stable food of the nation. Also an important part of the population’s diet is fish that is caught from the Mekong and Tonle Sap rivers. A typical Cambodian cuisine comprises of tropical fruits in addition to soups and noodles. A touch of the French influence can also be observed in some of the nation’s cuisine and is inclusive of Cambodian red curry with toasted baguette bread. The second-greatest source of hard currency for Cambodia is Tourism right after the textile industry. Even with the nation’s troubles, the tourism industry has shown a steady increase since 1993 with the most frequent visitors to the region including the Chinese, Japanese, South Koreans, Americans, and the French people. Visitors to the region get to enjoy warm friendly people a fabulous heritage and a bewitching landscape. From the stunning tropical beaches, colonial beaches and a wide range of natural attractions, it is easy to see why the tourism industry is thriving in this nation. 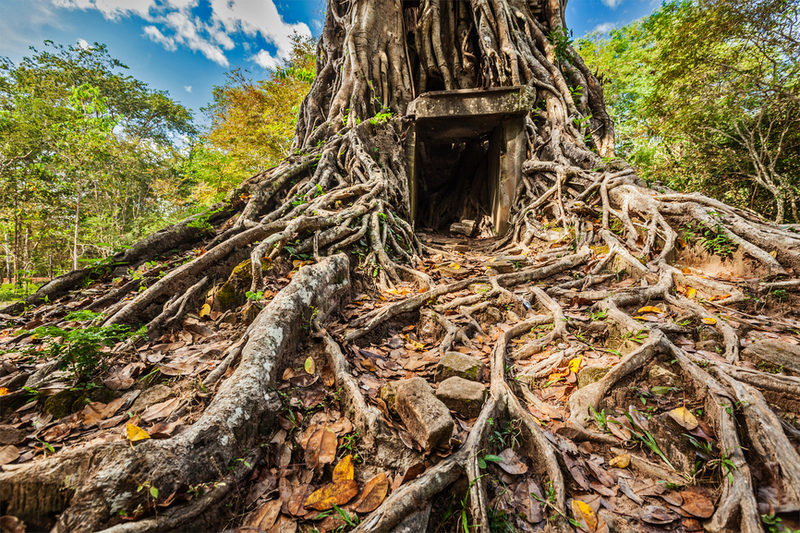 The nation’s wild northwestern region beckons many an adventure seeker with its alternative hill tribe cultures, stunning scenery and beautiful wildlife. While in the area, many take to mountain biking, trekking, hiking or simply exploring the surroundings. Beautiful souvenirs are available to bring a piece of this beautiful nation back home, with a majority of them touching of the nation’s legacy in terms of its artistic past. Some of the beautiful locally crafted pieces include ceramic works, the traditional scarf(karma), candles, soap, spices, silver plating, wood carving, painted bottles that contain infused rice wine and lacquer ware. Visit with the numerous beaches in the region especially at Sihanoukville, a port city and beach resort. Watch the Tonle Sap expand and shrink dramatically with the change in seasons. This lake also happens to be the largest freshwater lake in South East Asia. You will notice a number of floating villages around the lake that are home to many ethnic Vietnamese and quite a number of Cham communities. It has undergone changes to its name with changes in government. During its republican years, it took on the name Khmer Republic; under the Khmer Rouge regime, it was known as Democratic Kampuchea; under the leftist group called Salvation Front it took on the name People’s Republic of Kampuchea and today it is officially known as the Kingdom of Cambodia. The nation lost nearly one-fifth of its population during the four-year rule of the Khmer Rouge, most of which were priests, monks and educated people. Pol Pot, the Khmer Rouge leader sought to rid the nation of all educated Cambodians so that nobody would oppose their rule. You will be hard pressed to find a Cambodian who knows their birthday since birthdays are not celebrated. The head is regarded as the highest part of the body and as such, it need not be touched even in the kindest of manner. Cambodians sit with their feet tucked in since they consider it disrespectful to let your feet or soles to point at people or things.